She has been identified as the mediator between the Indian Bookies and the Sri Lankan players and it is said that the connection between this woman and the cricketers had been made by a very renowned player. The 36-year-old woman has forged close ties with Lankan cricketers and among them is a recent captain. In addition she has maintained close relationships with a wicket keeper and batsman during the South Africa tour. 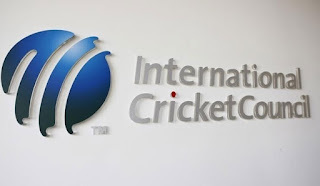 Meanwhile, the ICC has also uncovered information regarding a player who is said to have spent personal funds to promote his image over social media sites and he had also engaged in attacking anyone who would be a challenge to his captaincy aspirations. While there are just two more games left before the World Cup, the Sri Lankan team has suffered repeated defeats against South Africa, leaving the country’s winning chances at a bleak 10 to one. The only tournament won by Sri Lanka was the triangular series between Zimbabwe and Bangladesh. During the 10 games the Sri Lanka Team played 48 matches against India, Pakistan, Zimbabwe, Bangladesh, Afghanistan, New Zealand and South Africa. However, Sri Lanka only managed to win 09 matches. Not only did Sri Lanka lose to Bangladesh and Zimbabwe, they even lost to the amateur Afghan team. Of the last 13 matches played, the Sri Lankan team only managed one victory.